A downloadable version of Honor Goodsite’s Environmental Presentation is now available! 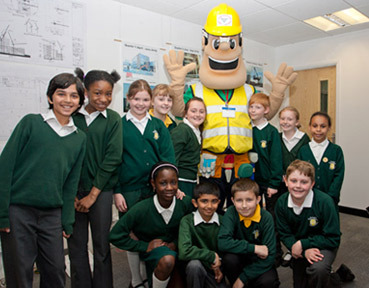 The presentation can be used to accompany any school or site visit you have coming up. It is also perfectly suited to accompany Honor’s Environmental Activity Book; the information found inside has been put together to perfectly compliment the presentation. To ensure you get the most our of Honor’s presentation, make sure you print the speakers notes that have all the questions, prompts and answers before you start! What makes up our environment. What problems our environment is facing and gives examples. Renewable and non-renewable energy sources. 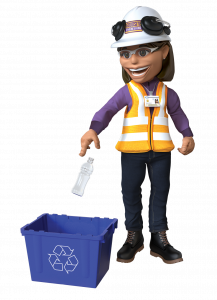 Examples of what construction sites are doing to reduce their impact on the environment. Ideas and examples of what the public can do to lower their carbon footprint. 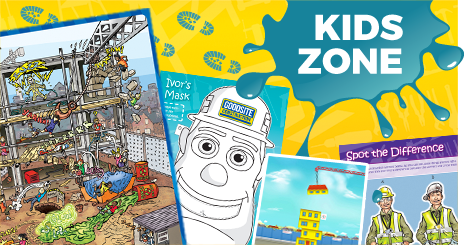 If you’re looking for a presentation that younger children can enjoy and engage with, you can download Ivor’s Construction Site Safety presentation that is perfectly suited for children aged 3-7, here.